One of the many scenic trails in Dunbar, courtesy of Dun-Good Riders. With miles of Year-round ATV/Snowmobile Trails and Trout Streams, the Town of Dunbar in Marinette County is an outdoor adventurer’s dream! 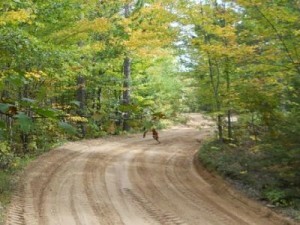 The trail system within the town allows for exciting rides through Marinette County Forest Lands, and can take you many places beyond. 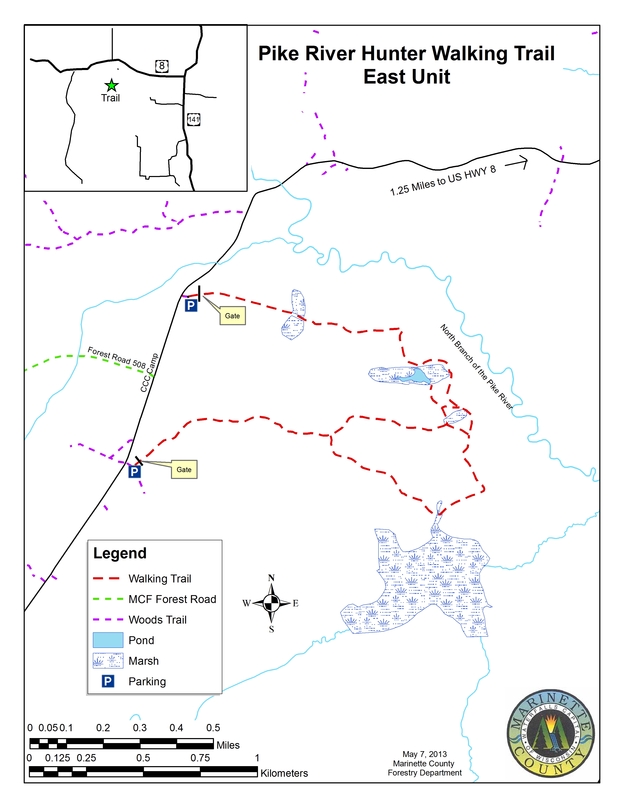 Trail Corridor 5 runs north/south through the county, from Florence to Oconto County, and Trail Corridor 16 runs east/west through the county, from the Upper Peninsula of Michigan to Forest County. Most of the trails in the town are maintained by the Dun-Good Riders, but those in the eastern part are taken care of by the Pemene River Riders and those in the southern part are taken care of by the Near North Trail Riders. There are about 80 miles of classified trout streams within the Town of Dunbar. With nearly 60 miles of Class 1 and over 20 miles of Class 2 Trout Streams, the chances of catching brook, rainbow, or brown trout are excellent. The major streams include the Pemene and Pike Rivers, and just about every tributary to those rivers have good trout populations. There are five waterfalls in the town to provide scenic locations to try your luck. Access to these streams is easily gained through public lands, whether it is through county, state, or town lands. 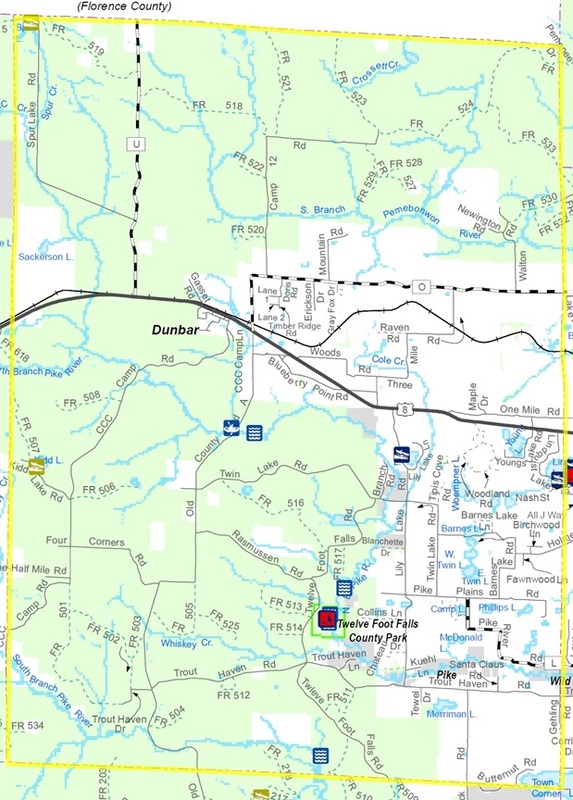 Over 66% of the Town of Dunbar consists of public lands. Most of it is Marinette County Forest Land, almost 44,000 acres! This includes the scenic, 160-acre, 12-foot Falls County Park along the Pike River, with camping and picnic areas. 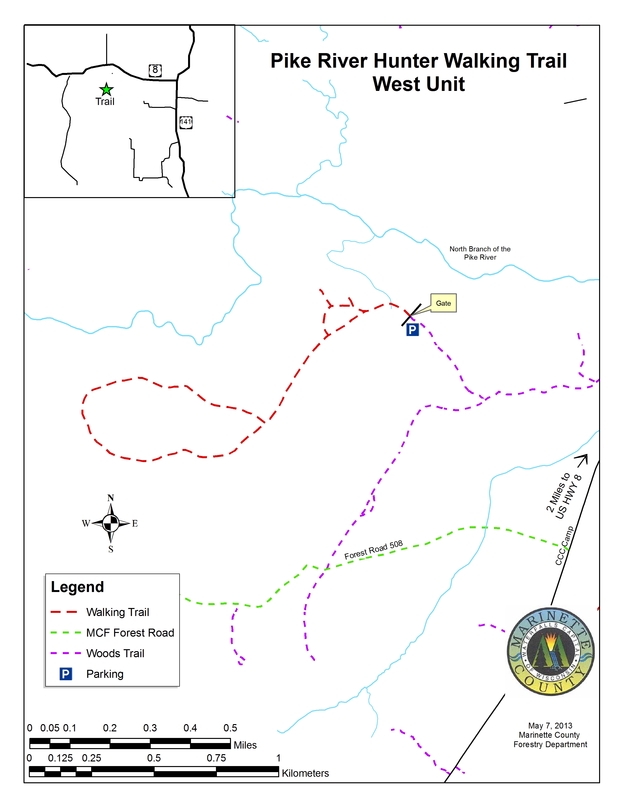 It also includes Pike River Ruffed Grouse Management Area, which provides quality habitat for grouse and woodcock, and hunter walking trails through the east and west units. There are also over 850 acres of state lands with the town, all part of the Pike Wild River, a natural area that you soon won’t forget! Lily Lake – a beautiful lake full of panfish! Not only does the Town of Dunbar have excellent trout fishing, but its lakes also give anglers a chance to pursue other species of fish. 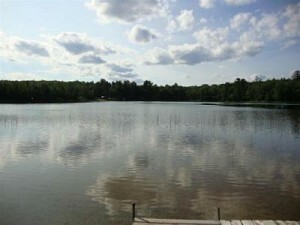 The town provides access to four different lakes. Boat landings are on Lily and Lindquist Lakes. Lily Lake is 24 acres with a maximum depth of 17 feet and an average depth of 7 feet, with panfish abundant and largemouth bass present. Lindquist Lake has panfish and largemouth bass common and northern pike present, and is a 69-acre lake with a maximum depth of 58 feet and an average depth of 22 feet. Kidd and Spur Lakes have walk-in access and provide scenic locations to go kayaking surrounded by Marinette County Forest Lands. 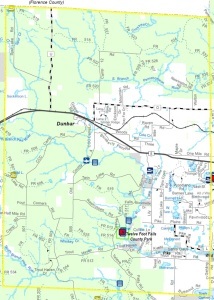 The Town of Dunbar is located in Northern Marinette County, just a few miles from Iron Mountain, Michigan. It had a 2010 population of 1,094 people, or 10 people per square mile. It is bordered by the Town of Goodman to the west; by the Town of Athelstane to the south; by the Towns of Beecher, Pembine, and Niagara to the east; and by Florence County to the north. US Highway 8 and County Highways L, O, and U help make traveling through the town easy.